Distributors can jump ahead of the curve by using Analytics packages that are dedicated to their business model. BI solutions need to be highly customized to enable costing models that are actionable in distribution. This is why BI projects often end-up being time consuming, expensive and months (if not years) in the making. With dedicated Analytics, all those caveats are avoided and companies get much faster ROI as well as the benefit of immediate & relevant reporting. WayPoint Analytics was built specifically for Distributors. It includes reports that reflect the key metrics you should know in order to increase your profits. It’s a companion system to your ERP, regardless of your system provider or ERP vendor. The expertise built-into WayPoint translate into actionable measures you can implement in your business. This is not a Business Intelligence wild-goose chase. It’s not AI (Artificial Intelligence) either. The patterns are known. It’s turn-key and the solutions jump at you when the numbers are finally accessible. If you would like a copy of this slide deck, please us. What should your Business Intelligence system report? The system should break down your true profit along fault lines that are meaningful: customers, products, territories, and more. But this can only be obtained via an exhaustive costing system. Business Intelligence systems allow you to model cost allocations at will. But how much time are you willing to invest in creating these allocation rules? WayPoint pre-loads your data and applies distribution-specific allocation rules that reflect best practices. You can fine-tune, but you don’t need to re-invent the wheel. Granular reporting highlights your niche of excellence and your profit-drains. The key to your profit growth is to isolate the two, for replication and improvement. Systems built on assumptions induce small errors that balloon as you scale. Think "Activity-based-costing" vs Analytics. Your system must be based on your real-world transactions and costs. And it must update as your sales pattern evolve. We just went through an ERP update and found out that the analytics provided with the upgrade were poorly representing our cost structure. 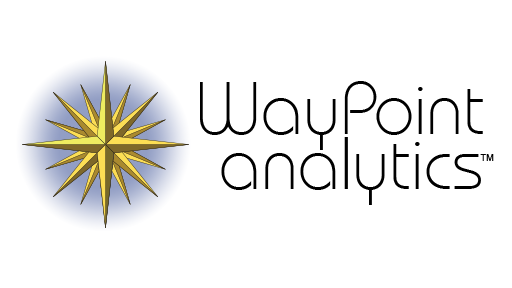 Luckily, WayPoint Analytics was a turn-key add-on that avoided us another painful migration.